What I once thought was a brief assignment advising the kiwifruit industry on brand matters subsequently turned into a NZ$2.2 billion industry. I was in the room advising the industry to drop the generic term ‘kiwifruit’ and rebrand their Chinese gooseberry. At that point, they had spent NZ$130 million promoting kiwifruit and not bothered to register the name. Interbrand of London were also present and endlessly rolled out name after name – none of which appealed. After much frustration, a hybrid name appeared completely left of field: Zespri. It sounded synthetic at the time, yet it somehow captured the freshness, energy, and nutritional value of a modern fruit for urban people. Now it is grown in a number of countries and will soon be grown in China – ironically returning to its ancestral home. This year the industry will have achieved 19% increase in global food sales revenue and record annual profit after tax of NZ$73.7 million (106% from the previous year's NZ$35.8 million). Offshore production of Zespri by licensed growers rose 40% to 16.6 million trays, and the increased profit was mainly due to the revenue from tinder for license for proprietary variety SunGold. Who in the room that day would have thought believe that such a dream was possible? More recently we have been the strategists and storytellers uniting 18 kiwifruit exporters in the Australian market in a tongue-in-cheek Love Kiwis social media campaign focusing on nutrition and food styling. The power of collaboration is only just being realised in the primary sector and we still have a long way to go. 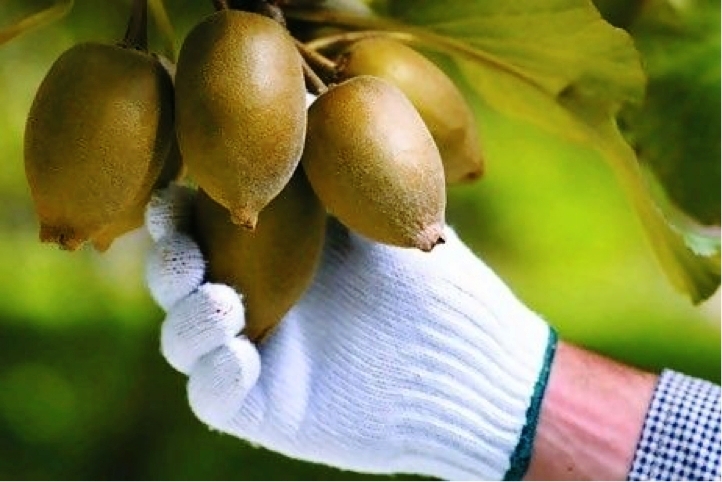 Richards Partners were the strategists on the Love Kiwis social media campaign. I have always been intrigued by the potential of plant breeding and the intellectual property and varietal rights which go with them. What an opportunity for New Zealand! Licensing our flora and fauna is an immense opportunity given enough imagination. Who's to say that one day licensed Manuka plantations will be growing in California for the essential oils industry? From floristry to food flavours, the provenance and terroir values of New Zealand nature is something the world seems hungry for. But it's not simply about a plant; you have to have the back story, the brand, and appeal to the right customers. Sauvignon Blanc and the collaboration of the New Zealand wine industry is another incredible success in positioning a plant varietal grape as a world leader. The more people are removed from nature, the more they are prepared to pay for nature. The Chinese in particular have the highest concerns in terms of food safety and point of origin. They spend 31% of their disposable income on food while the United States consumer spends 10%. In recent years, we have named and developed the international brand strategies for both Jazz apples and, more recently, Envy apples – which are enjoying strong sales internationally currently. Because of offshore licensed orchards, the Jazz Apple is now a standard offering stocked all year round by retailers. Envy Apples are currently enjoying strong sales internationally. Envy apples are living up to their name, posting dollars sales and volume growth other varieties can only wish for. With its extraordinary crunch, refreshingly sweet palate, and beautiful colour, Envy apples are nature's passport to a magical and indulgent moment brought to you from the world's most caring growers. What a pleasure it was for me to sign the Envy’s origination brand design documents for registration in China only three weeks ago with the patent attorneys. I would love to see more growers and exporters with the foresight to work collaboratively so they can reap the rewards of licensing plant varietals internationally. The intellectual property potential in plant life from these Southern Islands – with all its purity and romance – represents a Renaissance in guaranteed freshness to an urbanised world. New wealth can grow on trees – and coupled with great marketing and positioning, we can sell less for more.